For this tutorial you would need at least 1GB USB stick and fast internet. The USB stick will be formatted so don’t use a USB stick with your important files or photos stored. Your current operating system should be Windows if you are using other operating systems this will not work. To start with you would need to get a Linux distribution (they are open source) there are large number of Linux distributions available but easiest and commonly used distribution is Ubuntu the current stable version is 12.04 you can download it from their website. Once you have the Ubuntu downloaded then you can use Universal USB installer to load the Ubuntu on to the USB. 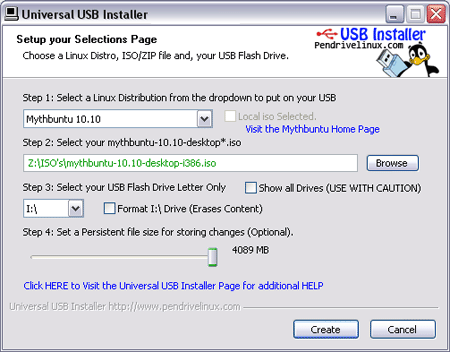 Open the Universal USB Installer in Step 1: select Ubuntu 12.04 Desktop. 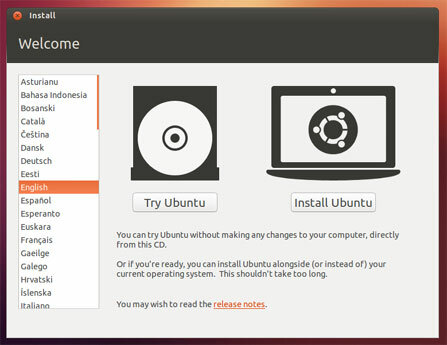 Step 2: click the Browse button and find the Ubuntu distribution (ubuntu-12.04.1-desktop.iso) you downloaded before. On Step 3 it is important to select the correct USB drive in the drop down (go to My Computer and see the drive letter for your USB stick). Then click Create to make the live Ubuntu USB stick. It depends on your computer specs and the USB speed on how long would it take but it should never take longer than half an hour. Once the USB stick is ready you can either install Ubuntu into your computer or just try running your computer via the USB you just created. To start your computer with the USB your computer should have the capability to start from a bootable USB drive. Nowadays most desktop and laptop computers have the option to allow you select the media you would like to start your computer with by pressing the F12 button on the startup screen. However, if this doesn’t work then you would need to go to the BIOS and set the boot priority. You can start the BIOS by pressing F2 or DEL button the startup screen. Then go to the Boot Tab on the top and make the USB the first option. Click Try Ubuntu to start Ubuntu without installing or changing anything in your computer. If you would like to install Ubuntu on your computer then choose install and follow the instruction here.